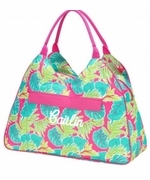 Reveal your bold side and show your style with this monogram ladies summer beach tote bag with an all over turtle pattern. A light weight, easy clean fabric, quality constructed, generous size, roomy interior. 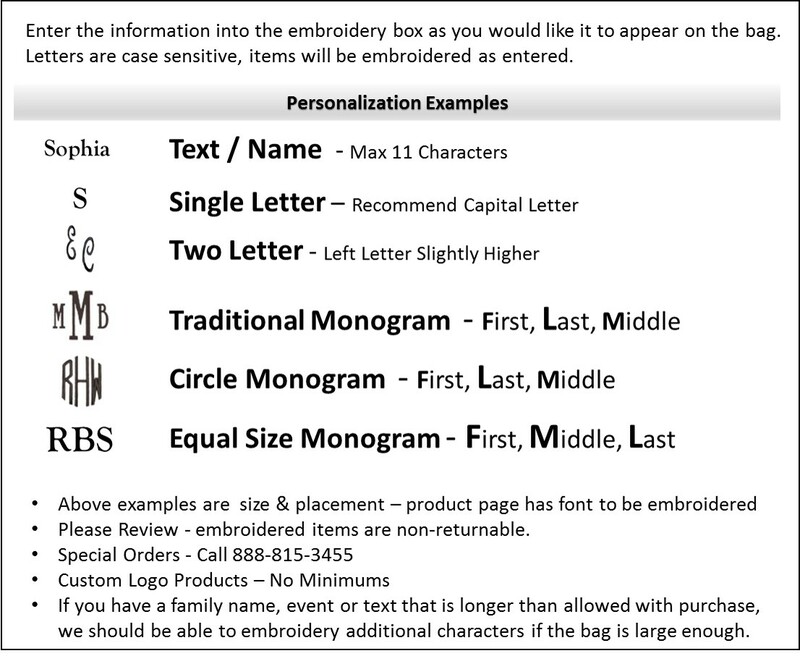 Add your personal monogram for a classy additional to your summer travel bags. Micro fiber for easy care, front zipper pocket, over the shoulder covered rope handles, supported bottom. Lined with small 7" x 6" attached zip accessory pouch. Zipper closure. Large ladies turtle pattern beach tote bag measures 21"W x 17"H x 8". I purchased 10 of these in grey and also the turquoise for a sweet sixteen cruise. The bags are large and the inside zipper compartment is also large to hold valuables. The staff was very helpful. The bags are really beautiful. I bought four bags as gifts for friends this Christmas. Delivery was fast and they are beautiful, the monograms look great and I'm sure my friends will love them. Beautiful monogram, quick delivery, very happy with the product. I purchased this bag as a gift for a teenager and it's just perfect. Received in record time, just as described on the site. Monogrammed nicely. Too bad that it's discontinued.